it would have filled the bill. In the future I will not be in a rush to purchase a new Grisham book, I'll wait for reader reviews. This story is such a mess I don't even know how to explain how bad it is. One of my big problems is I am a big fan of the Alex Delaware series written by Jonathan Kellerman. 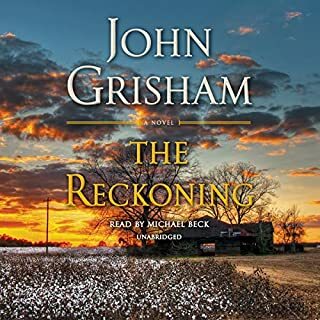 This book is written about different characters, but is read by the same narrator, John Rubinstein, and follows the same story line. When listening I am hearing Alex Delaware and Milo Sturgis instead of the new characters. I am afraid this will be the first Jonathan Kellerman book that I am unable to finish. 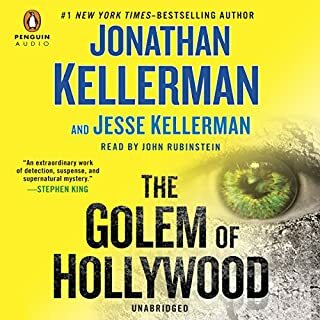 Would you ever listen to anything by Jonathan Kellerman and Jesse Kellerman again? I will give them another chance since I have liked all of Jonathan's other works. If you could play editor, what scene or scenes would you have cut from The Golem of Hollywood? From John Wilkes Booth to Lee Harvey Oswald, there have been more than two dozen assassination attempts on the President of the United States. Four have been successful. 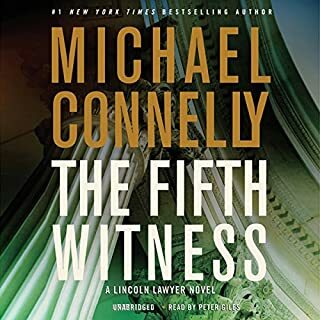 But now, Beecher White - the hero of the number one New York Times best seller The Inner Circle - discovers a killer in Washington, D.C. who's meticulously re-creating the crimes of these four men. Historians have branded them as four lone wolves. But what if they were wrong? Would you try another book from Brad Meltzer and/or Scott Brick? Liked many of Meltzer's other books. Scott Brick is my favorite narrator. 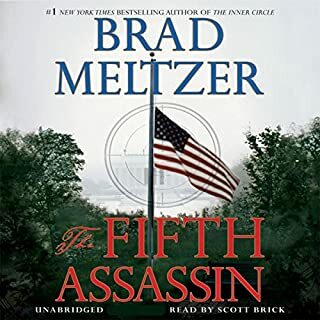 Would you ever listen to anything by Brad Meltzer again? I will give him another chance as along as it's not about the Culper ring. I couldn't figure out if they were protecting the POTUS or trying to kill him. usually know at least one good guy from the beginning. What three words best describe Scott Brick’s performance? Too many characters sounded the same. 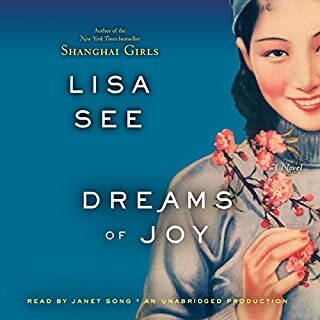 In her beloved New York Times best sellers Snow Flower and the Secret Fan, Peony in Love, and, most recently, Shanghai Girls, Lisa See has brilliantly illuminated the potent bonds of mother love, romantic love, and love of country. Now, in her most powerful novel yet, she returns to these timeless themes, continuing the story of sisters Pearl and May from Shanghai Girls, and Pearl’s strong-willed 19-year-old daughter, Joy. passages out of my mind. Highly recommend. Los Angeles D.A. Rachel Knight is a tenacious, wise-cracking, and fiercely intelligent prosecutor in the city's most elite division. When her colleague, Jake, is found dead at a grisly crime scene, Rachel is shaken to the core. She must take over his toughest case: the assault of a young woman from a prominent family. 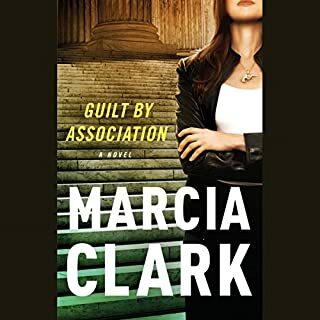 But she can't stop herself from digging deeper into Jake's death, a decision that exposes a world of power and violence and will have her risking her reputation - and her life - to find the truth. Great first book. Hope there will be more. Well thought out plot. Great character development. Hope this turns into a series. 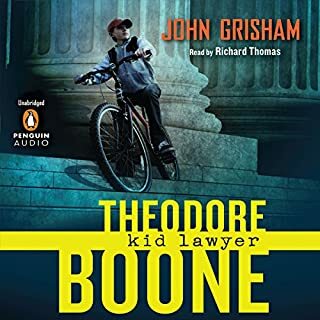 In the small city of Strattenburg, there are many lawyers, and though he’s only 13 years old, Theo Boone thinks he’s one of them. Theo knows every judge, policeman, court clerk - and a lot about the law. He dreams of being a great trial lawyer, of a life in the courtroom. But Theo finds himself in court much sooner than expected. Because he knows so much - maybe too much - he is suddenly dragged into the middle of a sensational murder trial. A very engrossing story. I liked this even better than his other recent book, The Confession. Excellent. Sorry I didn't take longer to finish it. Now I'll have a long time to wait for another Haller book. Wisteria Lane has nothing on these grandes dames of mystery. 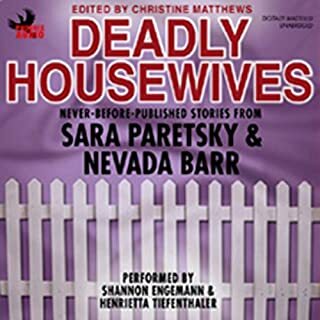 In the expert hands of two of the mystery world's top storytellers, being a housewife takes on a whole new meaning.These two never-before-published stories by Nevada Barr and Sara Paretsky explore the dark side of the housewife psyche and are guaranteed to delight. Can't believe they even bothered to publish this. At least it was short. I don't usually write reviews, but I felt the need to warn others to not waste their time and/or money on this.